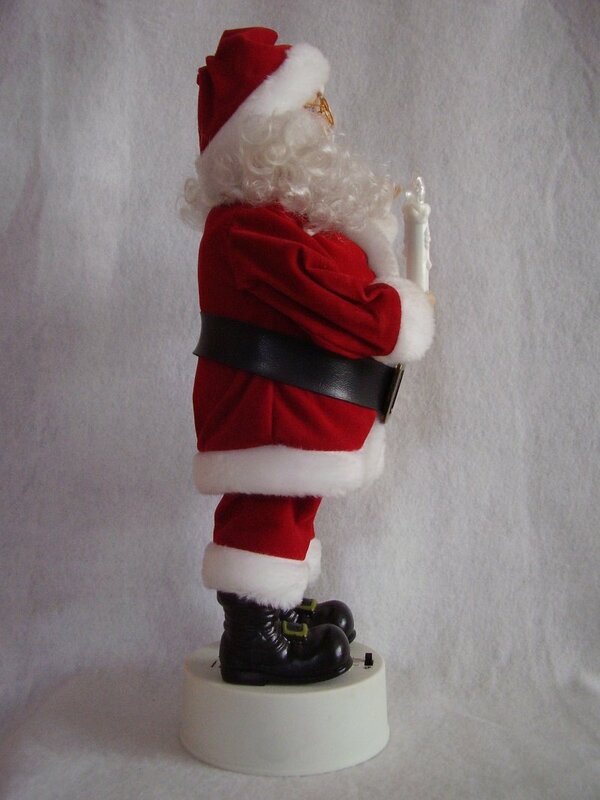 Telco Motionette Santa from 1989. 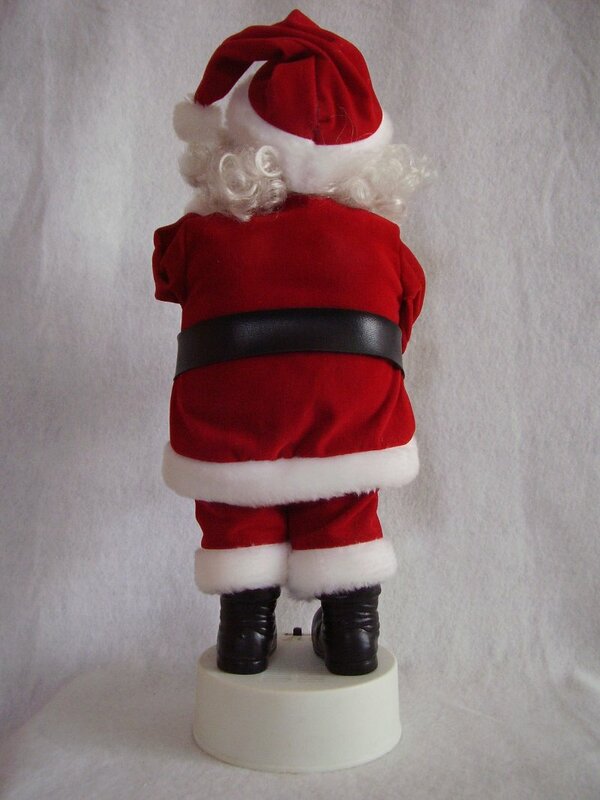 Santa is multifunctional and battery operated. 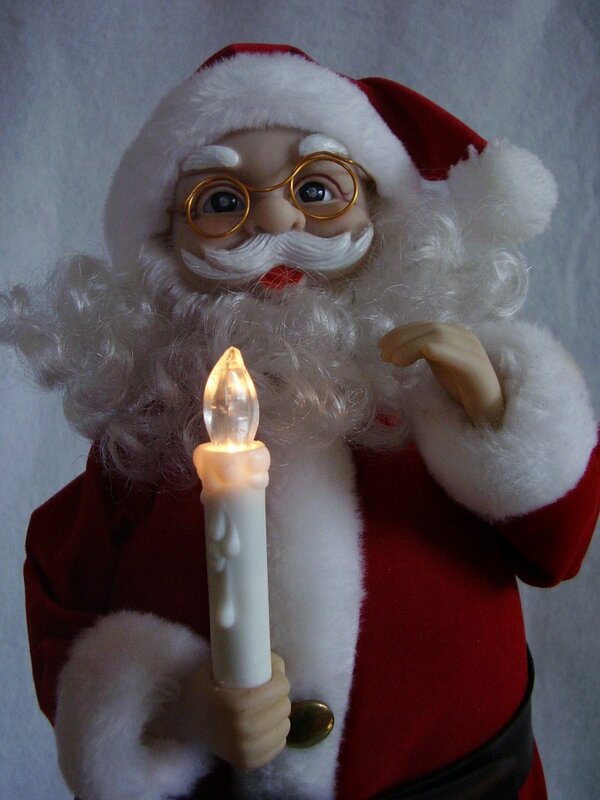 His head turns, double arm action, and lighted candle. 3 way switch, motion,lights, music or motion, lights only or off. Appears that he is missing one jacket button. Uses two C size batteries (sorry not included), has been tested and works fine. He measures 16 inches tall x 7 inches wide. 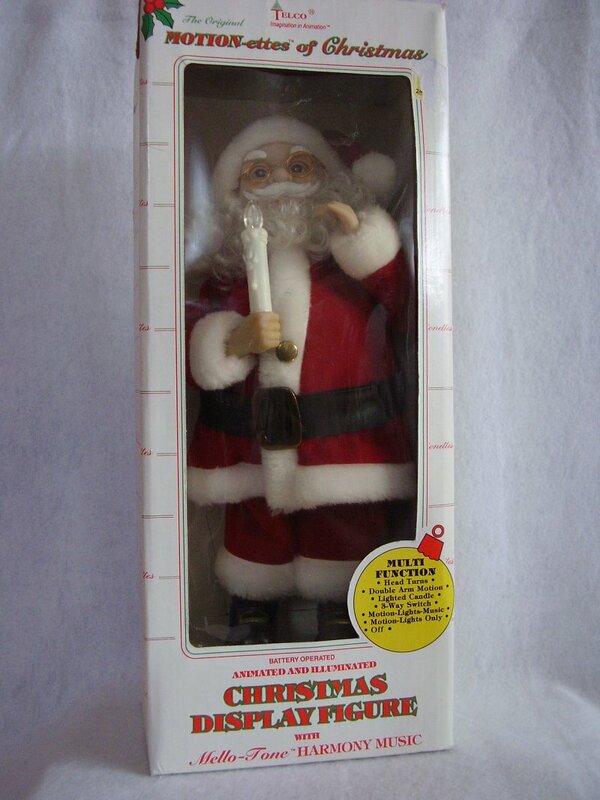 Telco Motionette Santa from 1989. 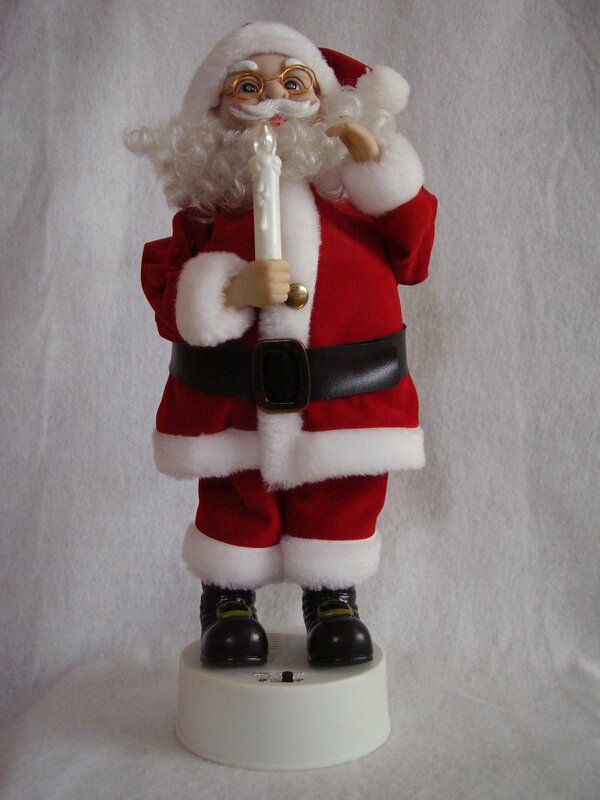 Santa is multifunctional and battery operated. 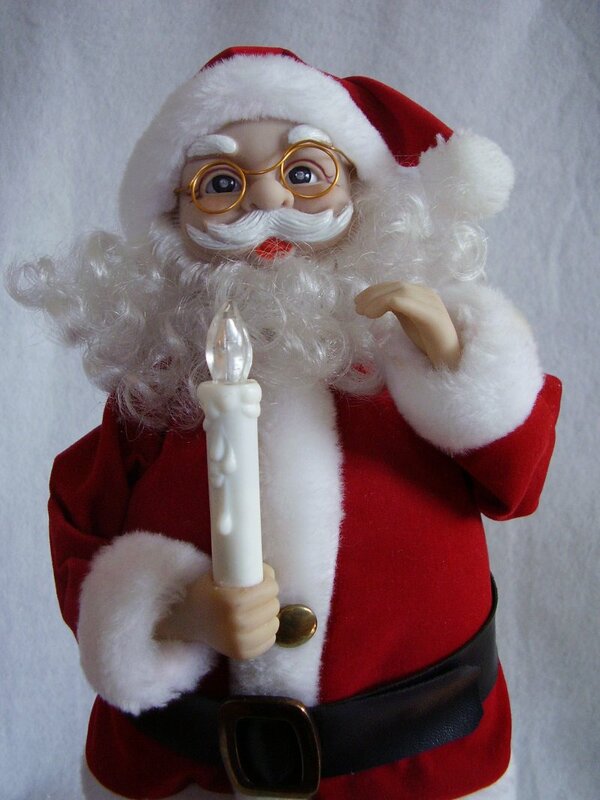 His head turns, double arm action, and lighted candle. 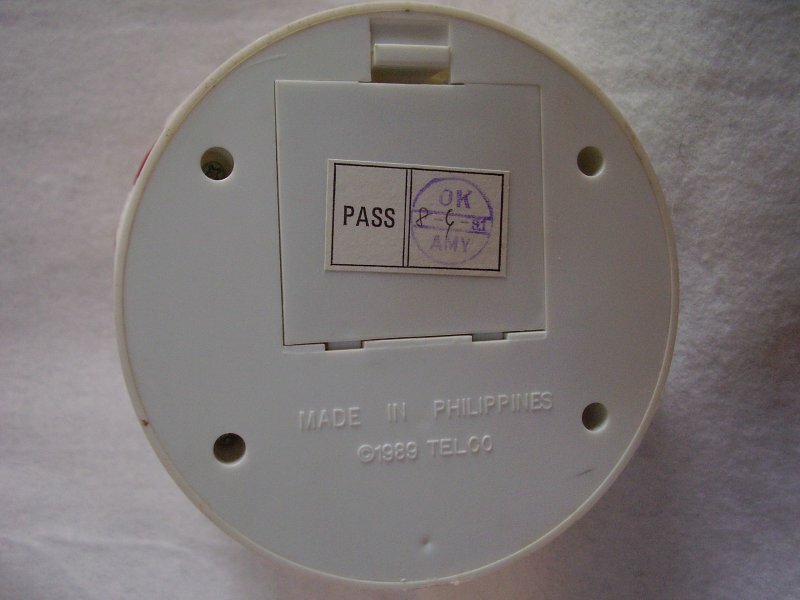 3 way switch, motion,lights, music or motion, lights only or off. Uses two C size batteries (sorry not included), has been tested and works fine. He measures 16 inches tall x 7 inches wide. Do not lift by head or arms. Arms can be positioned by gently moving them to the desired pose. Check to make sure light bulb did not loosen during shipping. A slight noise from the electric motor is normal and will not effect performance. 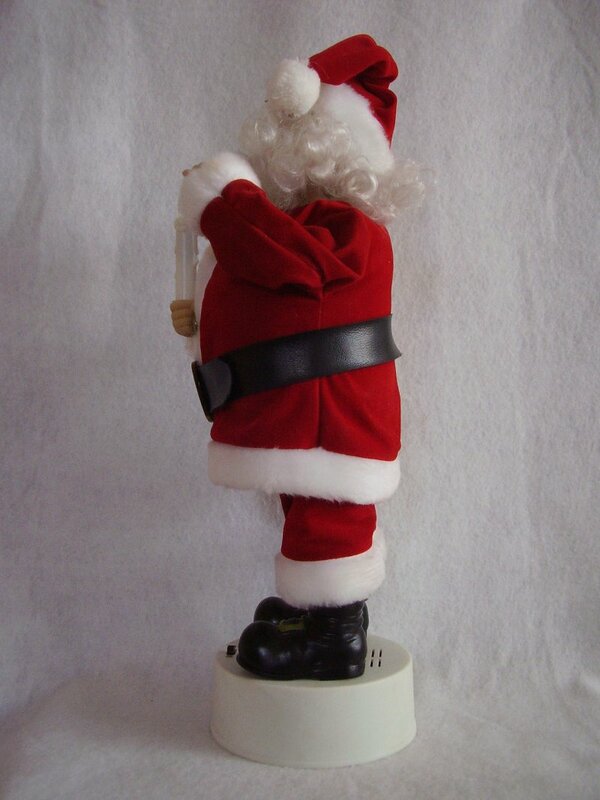 Santa is in gently used condition. Appears that he is missing one jacket button. Comes with the original box that shows normal wear for age.